Getting to this Sunday’s NRL Grand Final at Olympic Park will be free on buses and trains for game-day ticket holders. 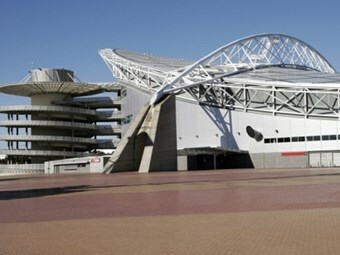 NSW Transport Minister John Robertson says hundreds of extra buses and trains will run to Homebush for the expected 80,000 crowd for the St George Illawarra versus Eastern Suburbs NRL finale. "We want to ensure as many fans as possible jump on a train, bus or ferry to get to the big game, which is why we’ve put on extra public transport to and from the stadium," Robertson says. "Public transport for fans heading to the game is free – the price of catching a train, bus or ferry is included in the ticket." Kick-off is at 5pm, but extra transport services to Olympic Park start from 10.30am. "Trains will be operating from Lidcombe to Olympic Park from very early in the morning," Robertson says. "Direct services from Central to Olympic Park will be operating every eight to 15 mins, from around midday. "After the game, services will run to Central every five to ten minutes until 9.30pm, and to Lidcombe until after midnight." Getting to Olympic Park, major event buses will leave Warriewood, Glebe, Macquarie, Castle Hill, Rouse Hill, Dural, Menai, Maroubra, Miranda and Cronulla from 10.36am depending on the route. These buses will run approximately every 10 to 20 minutes and more frequently during busy periods. Getting from Olympic Park major event buses to Warriewood, Glebe, Macquarie, Castle Hill, Rouse Hill, Dural, Menai, Maroubra, Miranda and Cronulla will run until 8.45pm.